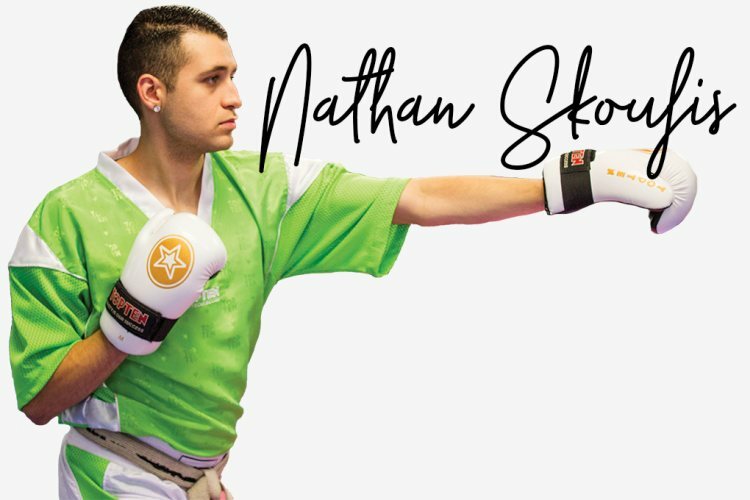 Puslinch resident Nathan Skoufis is chasing history, aiming to unify the world martial arts titles of the two biggest and most prestigious sanctioning bodies; the National Black Belt League (NBL) and the North American Sport Karate Association (NASKA). Skoufis is the reigning, defending and undisputed NASKA World Champion for the past three years in the highly competitive and contested welterweight division and has recently qualified for the World NBL Championships with his success this year. He is currently the #1 Ranked NASKA fighter, a rank that has been held consecutively for over three years. Skoufis is also a multiple time NBL World Champion, making him one of the only martial artists to have won both leagues. This year, he will be aiming to do something that has not be done in the last decade – win both of the world sanctioning bodies in the same calendar year in an attempt to unify the world titles. At just 22, Skoufis is the owner and Head Instructor of the famed ‘Guelph Family Martial Arts’, is a fifth-degree black belt as well as a 10X World Champ aiming to secure his 11th title. Skoufis is the youngest person to hold the Master title and youngest owner of his own studio. The 2017 year has been a busy year for Skoufis already securing victories in Chicago, Toronto, Waterloo, Philadelphia, London, Quebec City, Washington and Minneapolis helping Skoufis on being able to secure his #1 ranking. Skoufis will represent Puslinch and Canada on the global stage once again, putting our community on the map as he chases history one more time.